•	Implement enterprise wide data warehousing solutions and an ETL automation using SSIS, ODI etc. •	Build customized predictive models using SAS, Oracle Data Miner, R or Python that explains different customers behaviors such as share of wallet, dormancy prediction, customer life cycle, value extraction, next best action etc. •	Leverage customer and market information to proactively identify and assess new business opportunities to create customer value and profitably grow the business. •	Provide competitive analysis on various companies’ market offerings, identify market trends, pricing/business models, sales and methods of operation. •	Build and automate data upload and extraction to/from various banks applications such as CRM, RSAC etc. •	Develop dash boards and dynamic reporting interfaces to present marketing information & KPIs to internal stakeholders, based on individual needs. •	Conduct periodic scan of the customer base to identify growth potential and revenue opportunities across all customer segments and business units and share same with stakeholders. •	Build and implement Alerts on CRM to empower RMs on various activities in their customers’ accounts and product life cycle. •	High level of analytical skills with the ability to process and present complex data. •	High level of commercial understanding in developing business cases, interpreting financials and P&L. •	Ensure findings are presented in the way most suitable to the different areas of the business. •	Commission analytical requests and translate digital data into market insights. •	Make recommendations on areas such as viability of an idea, potential to market a product and market trends for current/similar products. •	Translate data and analytical insights into easy to understand insights which have a tangible business impact. •	Communicate with senior stakeholders, peers and reports (conversational and presentational). •	Text mining of unstructured data fields to extract insights. •	Analyze and interpret results using standard statistical tools and techniques. •	Pinpoint trends, correlations and patterns in complicated data sets. •	Data Visualization capabilities using OBIEE, SAP, MS Reporting Server etc. •	Minimum of Bachelor’s degree in Computer Science or relevant related discipline. •	Minimum of 2 years relevant experience in an Enterprise Warehousing function. •	Hands on experience in building ETL, data mining, predictive modelling etc. •	Hands on experience in Oracle, SQL, PLSQL, OBIEE, SAP, SAS, R, Python etc. •	Working knowledge of Finacle bank-end tables and other First Bank database. •	Banking structure, policies and procedures. •	Develop customer journeys across the various touch points and identify improvement areas. •	Develop business case for improvement initiatives to close process gaps identified. •	Shape, develop and bring to market compelling consumer propositions. •	Conduct customer, market and competitive study, focus groups and business analysis of customer to product portfolio and analytics to provide market insights, trends and developing compelling value proposition and business initiatives. •	Follow up to ensure implementation of existing product enhancement projects. •	Develop new and existing regulatory and group guideline project in relation to product proposition Implementation. •	Keep track of market movements and competitor offerings. •	Complete follow-up of product project(s) to test success. •	Monitor, track and report on Customer Experience initiatives milestones and deliverables to ensure objectives are met. •	Review Customer Experience standards across customer touch points to ensure consistency and uniformity. •	Keep abreast of new products and services ensuring that Customer Experience standards are adhered to. •	Conduct project post mortem reviews and make recommendations to identify successful and unsuccessful project elements. •	Identify service knowledge gaps and make recommendations to improve them. •	Continuously appraise internal processes required to enhance Customer Experience. •	Prepare periodic reports on Customer Experience standards across touch points. •	Monitor, report and follow up on service standard failures. •	Communicate Customer Experience standards and updates. •	Minimum of Bachelor’s degree in any numeric related field. •	Minimum of 2 years in Customer Experience function. •	A FirstBank customer experience delivery /operations process is desirable. •	Customer experiences best practices. •	Knowledge of data gathering techniques. •	Data gathering and Analytics. •	Effective time management and prioritization skills. •	Win new accounts and resuscitate dormant relationships. •	Initiate development of products required to meet customer needs. •	Book quality assets and ensure effective portfolio monitoring for early detection of defaults. •	Financial Analysis Business/ Operational Strategy. •	Provide leadership and oversight of the day-to-day activities of the SME desk team. •	Take custody of the SME strategy document and drive the implementation of the SME segment Strategy. •	beneficiaries & ensure effectiveness of products, programs and/or schemes. •	Identify innovative funding partners (local and international) and the requirements for activating the desired strategic partnerships. •	Liaise with strategic partnerships team to operationalize the SME partnership framework and manage relationships with partners to ensure effective delivery of SME interventions. •	Identify the non-financial interventions and/or business advisory/capacity development requirements for SMEs and ensure effective delivery via relevant workshops. •	Take ownership of the management of the SME portal and drive uptake with SMEs. •	Oversee the content management for the SME portal and ensure frequent refresh of the contents hosted on the SME portal. •	Liaise with relevant internal department to develop relevant contents for the SME portal. •	Oversee the integration activities on the SME portal and ensure smooth portal functionalities. •	Keep and manage the database of SMEs signed-on the SME portal. •	Manage the communication of products, services, schemes, programs to the SMEs covering awareness creation, event invitation, webinars etc. •	Oversee the development of quarterly sector reports and ensure delivery to SMEs across the relevant sectors. •	Oversee and coordinate the conduct of research and market intelligence of competitor products, schemes and services offered to SMEs. •	Work closely with the segments & value propositions team to revalidate the needs and requirements of SMEs in order to refine and redefine the value propositions. •	Minimum of Bachelor’s Degree in relevant field. •	Minimum experience of 7 years in related field. 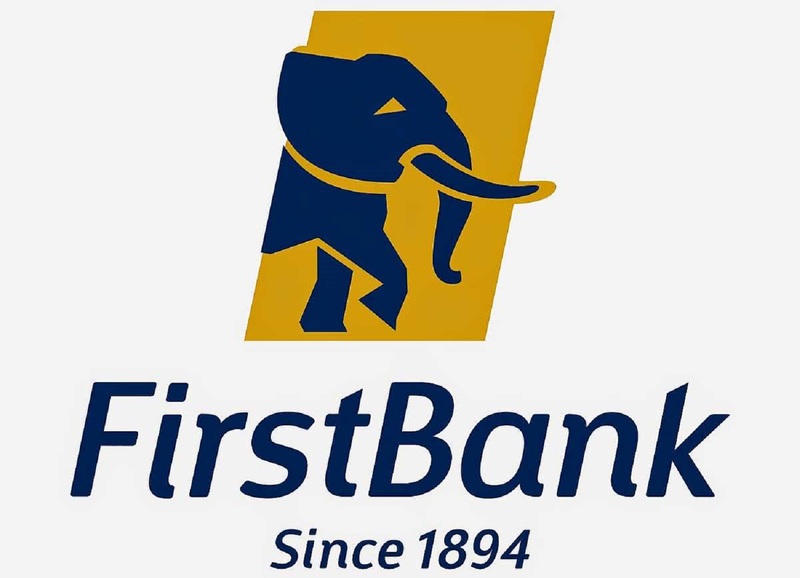 •	FirstBank products and Services. •	FirstBank customer experience delivery/ operations process desirable. •	Good understanding of financial institutions approaches to SME lending, risk mitigation strategies, loan appraisal criteria. •	In-depth understanding of MSME development, segment needs and requirements. •	Understanding of the financial services industry. •	Communication / Presentation skills.